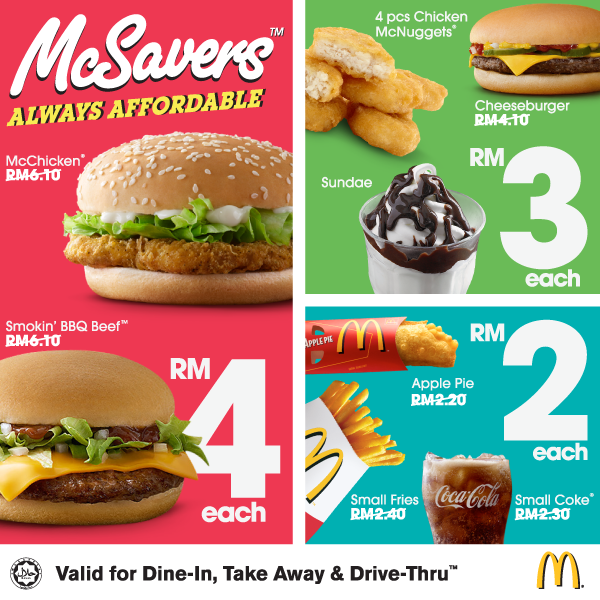 In Malaysia, McDonald’s has introduced the latest McSavers deal. As a price champion, the McSavers deal makes the fast food chain the place to go for cash-strapped diners at a time when the prices of everything seems to be going up. McSavers is available from 11am – 4am daily except breakfast, subject to 6% government tax. McDonald’s has always been ahead of other players in the market in making its meals really affordable, first with the McValue Lunch and then with the McValue Dinner. 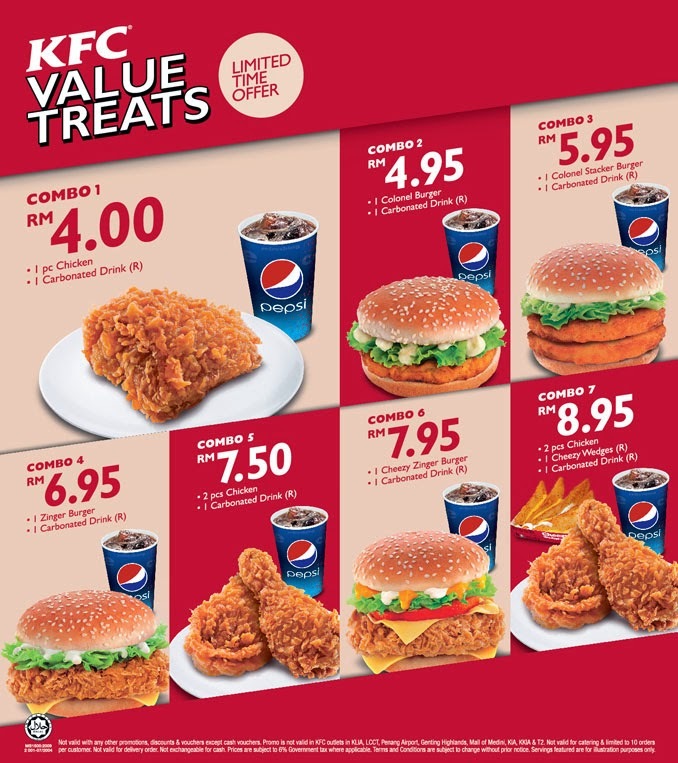 Now, it is ahead of KFC Value Treats. I would expect KFC to take away the Pepsi drink to lower the price. 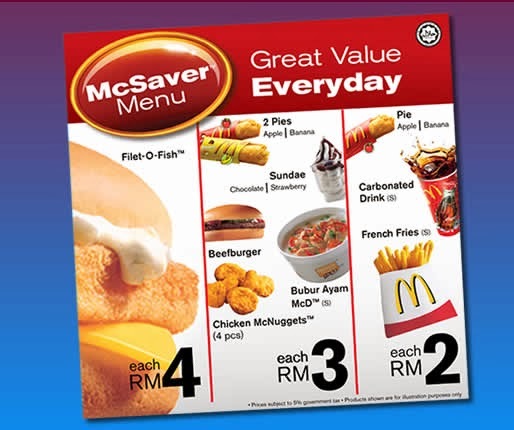 At the height of the global financial crisis in 2008, McDonald’s introduced a similar McSavers deal in Malaysia, offering ala carte products at roughly the same price. RM 4 for a Fillet-O-Fish and Spicy Chicken Wrap and RM 3 for a Beefburger and Chicken Porridge. It begs to question is the timing of the launch of McSaver a useful barometer of the state of the country’s economic health? Previous articleFried Ice Cream, Anyone?